The BOB Revolution Flex Stroller is the perfect stroller for the active family. If you are in the market for a jogging stroller that can comfortably accommodate parents of all heights, then this is the stroller for you. With a height adjustable, 9 position, padded handlebar, this stroller creates a perfect fit for any parent. The latest model also rises the handlebar by a couple of inches making this an even more perfect option for taller parents. The revolutionary swiveling front wheel allows for superior maneuverability. Lock the wheel in place, and now you have added stability while walking or jogging on rough terrain. With state-of-the-art suspension your little ones will have a smooth ride on every adventure. Featuring an adjustable suspension system, the BOB Revolution Flex provides an exceptionally smooth ride. Babies under 8 weeks old can travel in the stroller using the BOB Infant Car Seat Adapter and compatible infant car seat. BOB recommends babies be at least 8 months old before jogging or off road use. The adjustable canopy protects your little one from the elements while allowing you to keep a close eye on them through the large viewing windows. The latest model also has a more compact canopy which works even better for taller kids so you will be able to use your stroller for longer. The easy, two-step folding, lightweight frame makes for convenient transport and storage. For added safety, you can engage a rear-wheel brake system with your foot. Busy families require lots of storage when they are out and about. The Revolution is designed with two seat-back pockets, four interior pockets and a hanging basket underneath for storing everything from bottles and diapers to purchases at the store – which is even larger in the latest model. 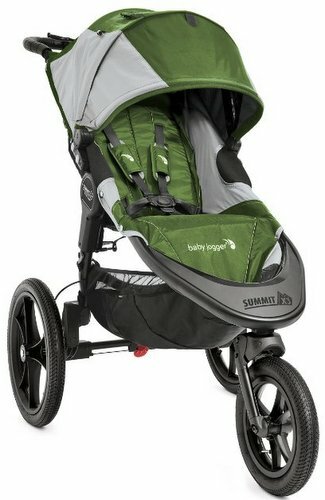 This stroller is best suited for families who enjoy being active and bringing baby along for the ride. The front wheel swivels for superior maneuverability. It also can be locked in place for increased stability when jogging or for tough terrain. Easy, two-step fold with a lightweight frame. Adjustable, state-of-the-art suspension system provides an incredibly smooth ride. With the BOB B-SAFE Infant Car Seats and a BOB Infant Car Seat Adapter you can create a complete travel system. Accessory Adapter allows for easy and quick attachment of BOB Infant Car Seat Adapter or Snack Tray. Ultra-padded, reclining seat for comfortable seating for your child including a fully upright position. The new one handed lever makes it easy to change the recline. Five-point harness with padding helps keep your child comfortably secure. Multi-position canopy adjusts for protection against the sun and other elements. Large viewing window allows a view of your baby. The high-impact polymer composite wheels and pneumatic tires are perfect for tough terrain. Plenty of undercarriage storage with the cargo basket as well as a large seat back pocket and internal seat pockets. A twist of the front wheel locks it into place. The wrist strap helps keep the stroller secure when strolling and this is a handy fold lock when folded. Capacity: 8 weeks to 75lb (34kg); from birth with the use of an Infant Car Seat Adapter & compatible Infant Car Seat. Frame Material: High strength aluminum alloy. Seat Material: Poly and Dobby weave fabrics. Safety Features: Padded 5 point harness / wrist strap / parking brake. Seat Recline: Adjustable seat back recline to 70°. Tires: Pneumatic tires – Rear 16″ x 1.75″, Front 12.5″ x 1.75″. The BOB Revolution Flex Stroller has super easy maneuverability, even when loaded up with the baby and all his gear. I was amazed at how easy it is to turn. The ride is exceptionally smooth. My son sleeps comfortably thanks to the reclining seat and the suspension system that absorbs all the shock. 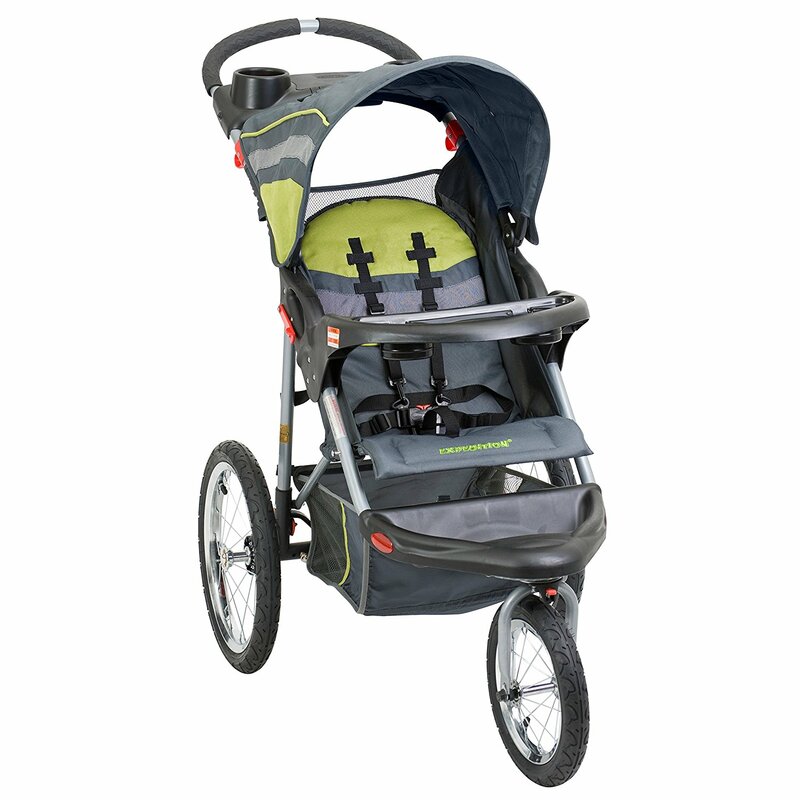 The front lockable/swivel wheel is conducive for jogging as well as rough terrain. The canopy keeps the sun out of my little ones eyes, and I love that I can check on him through the peekaboo window. The stroller offers plenty of storage. I was able to take along a diaper bag, water bottle, and snacks. The storage basket is a decent size, especially on the new model, and the pouch on the back of the seat is great for diapers and receiving blankets. The stroller is bulky when folded. Also, I wish there were more accessories included. A cup holder can be purchased separately. The BOB Revolution Flex Stroller is an excellent choice for active families that are looking for a daily walking/jogging stroller. It boasts a great suspension system, a roomy seat, 5 point harness, ample storage space, and an extremely smooth ride. The maneuverability cannot be beaten. The adjustable handle is great for parents of any height. This is a top pick for families looking for ease of use and comfort. Still undecided? 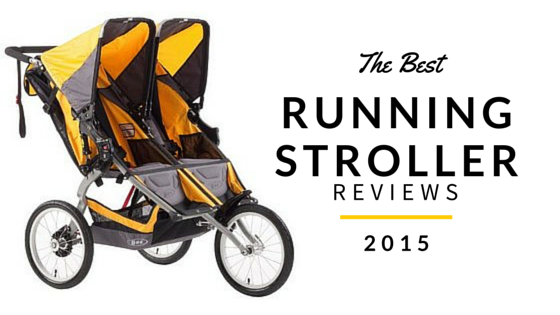 Check out our BOB stroller comparison and reviews and other fabulous jogging strollers. Hello my daughter’s name is Zaira and she will be turning 6 years old soon. Ever since she was born she has had difficulties in life. She had failure to thrive when she was a infant and now she has a condition that makes her develop differently so she already weighs 89 lbs. She also has Autism and drop foot, making it hard for her to walk long distances. I was wondering if you reviewed a stroller in her size, I’m going to try to petition the insurance company to pay for one. Thank you for you time.